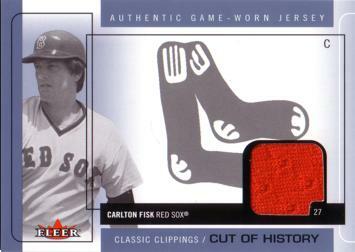 Above is a genuine rookie card of the longtime Red Sox catcher Carlton Fisk, produced by the Topps company back in 1972. 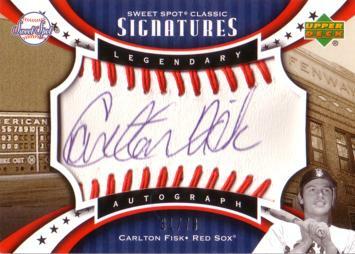 Card is in Excellent (EX) condition, meaning it has some minor corner and edge wear, may be off center, but has no creases or stains. 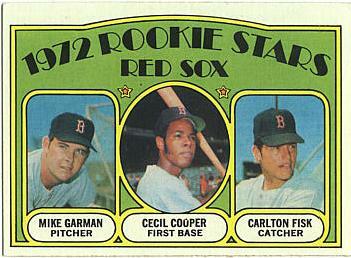 This card is in pretty good shape considering it is more than 40 years old..